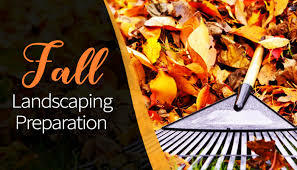 You still have time to prepare your landscape for Winter AND work you do now can have rewards next Spring. Cut back faded perennials for winter. Prune trees for winter so fallen limbs don’t damage your property during snow and ice storms. November is a great time to transplant any trees or shrubs you may want to relocate, while they are dormant, to give them the best opportunity for growth next spring. Consider replenishing mulch around trees, shrubs, and in your landscape beds, for cold weather protection. You can still plant spring flowering bulbs, such as tulips, daffodils, and hyacinths. Continue watering your landscape trees and shrubs, (if no significant rainfall). It is important for plants to go into cold weather with adequate moisture. Around Thanksgiving consider another application of lawn winter fertilizer. Continue weeding your landscape beds, as needed.